A spacious two bedroom cabin with great family gathering appeal. 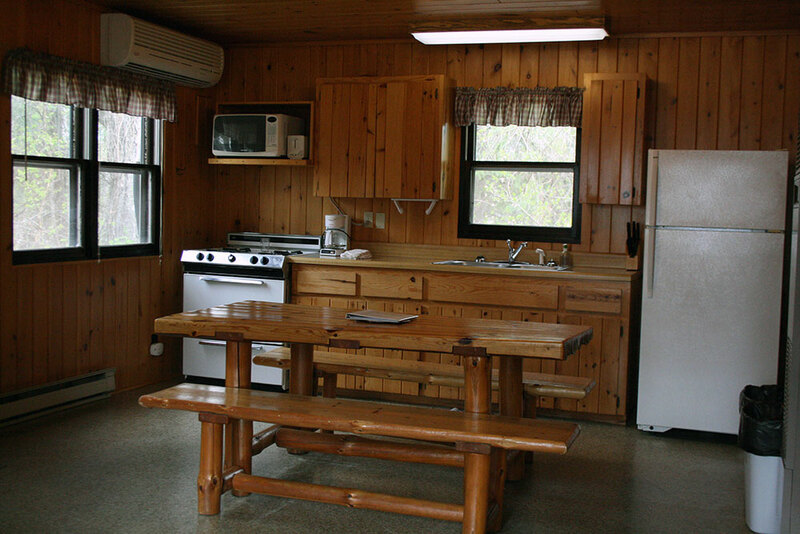 Knotty pine interior, large kitchen and living room area, air conditioning, free Wi-Fi, and a bathroom with shower. Lakeview. 3 double beds, 1 twin bed, and a futon. Sleeps 1-9. Mid-week Housekeeping Service – An optional mid-week housekeeping service, including bed-making, vacuuming, washing floors and cleaning the kitchen and bathroom is available. Please inquire for rates. This service can be arranged at time of check-in.